September Guild Meeting was a Great Evening! Our September guild meeting was a full agenda enjoyed by several guests and our members. 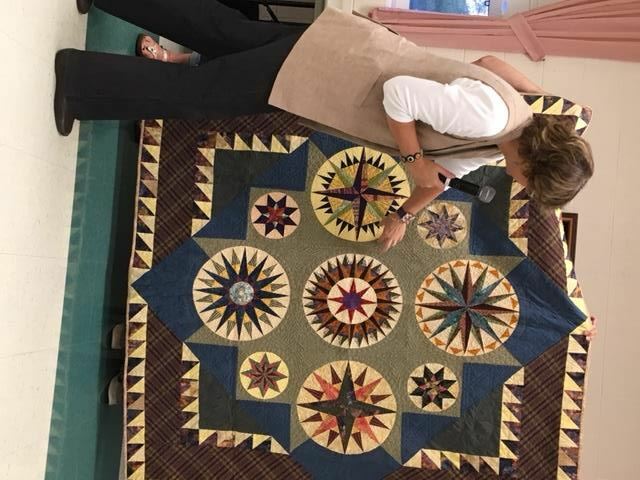 Ruth Kennedy shared her quilt journey and an array of quilts, techniques and stories. As you can see from the pic below, her work is amazing. 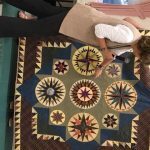 Quilt School covered lots of practical tips for organizing fabric and quilting supplies. There was an update on community outreach and lots of quilts of comfort returned for our December donation. As always everyone enjoyed snacks, prizes and laughter.